Polyglass®: What Can It Contribute to a Roofing System? Home » Our Blog » Roofing » Polyglass®: What Can It Contribute to a Roofing System? Top roofing companies know their services are only as good as the products they use, which is why Roofing by Curry chooses the best manufacturer of reliable roofing products: Polyglass®. 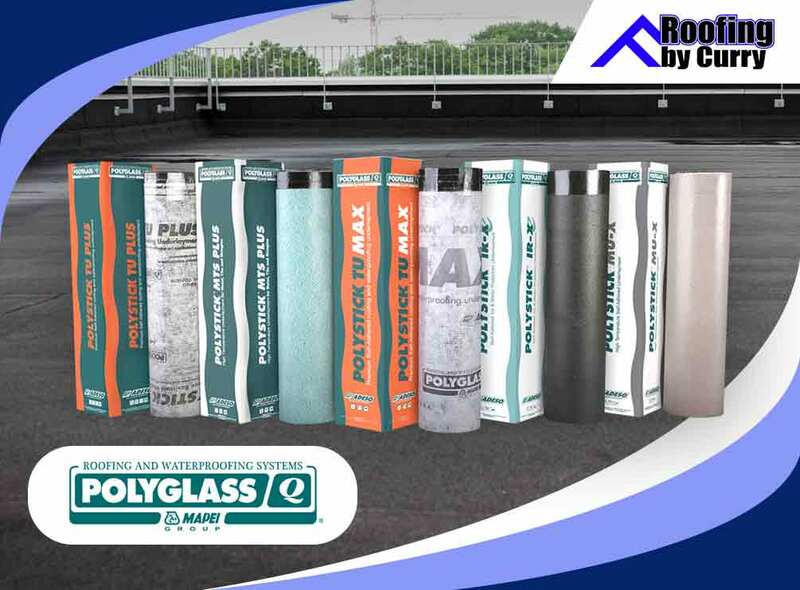 Polyglass is known as the industry leader in modified bitumen membrane roofing technology. This impressive achievement was given to the company because of its wide range of customizable roofing membranes. Polyglass offers affordable yet highly effective protection systems for both residential and commercial roofs. Polyglass also creates their products with energy efficiency and sustainability in mind, for the benefit of the environment. Other notable features of their roofing membranes include ultraviolet (UV) and skid resistance. You can reduce the money that you spend on annual roof repair with the unbeatable waterproof underlayments from Polyglass. This is called the Polystick roof underlayment with ADESO® Technology, which provides unmatched waterproofing with its self-adhering bottom layer for different roofing applications. For increased energy savings, Polyglass manufactures the Kool Roof Solutions®. This is an extended protection against heat and harmful UV rays. It also effectively deflects sun rays away from your building. Homeowners get to enjoy regulated temperature inside their homes. Trust in Roofing by Curry, the leading roofing contractors, to install these quality roofing products in your home. We know you deserve the best materials for your roofing system to increase overall longevity. Call us at (941)-270-4770, or fill out our contact form to request a free estimate. We serve residents of Sarasota and other surrounding areas.